Designed to operate at temperatures up to +260oC. A layer of mica protects the insulation from abrasion or mechanical damage by an impregnated and varnished glass fibre braid. Besides, it is also capable to withstand at higher temperatures for a short period of time. This is an alternative to In-Temp 250 that used to be manufactured by BICC. The fine stranded nickel-plated copper conductor provides flexibility during installation and routing with substantially improved high temperature performance over tinned or plain copper. Multicore versions also available to meet your requirements and normally it come with stainless steel or glass fibre braids. 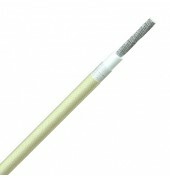 Other types of PTFE insulated wires are also available with tinned, nickel, or silver-plated conductors. 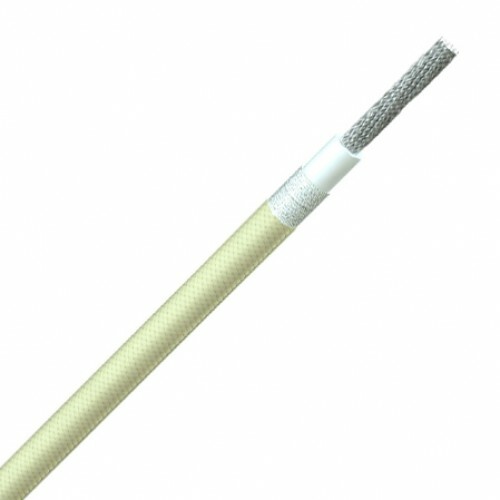 Fine nickel plated copper wire strands to IEC 60228 Class 5 or finer, White PTFE insulation, Mica tape, impregnated and varnished glass fiber braid. Comes with white color as standard color, other colors is upon special order.